Pavestone introduced its Panorama Combo Series, which is a five-piece system used to create courtyards, sidewalks, pool decks, garden paths, promenades and plazas, according to the company. 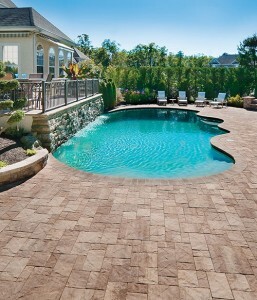 The paver line is available in three Panorama DemiCombo sizes and three Panorama SupraCombo sizes. In addition, the pavers are made from no-slump concrete mix and have an average of 8,000 PSI in compressive strength with 5 percent or less absorption.